I’ve never really been one for cream eyeshadow until now. I always thought they were really messy and crease too easily but when I heard that Maybelline were introducing these new eyeshadows which supposedly last for 24 hours I thought I’d give them a try. The range is really popular at the moment so if you’re from the UK you might not have a fully stocked counter at Boots (at least mine isn’t anyway!) so there won’t be many colours to choose from but I went for Immortal Charcoal and Permanent Taupe which are both very wearable, everyday shades. 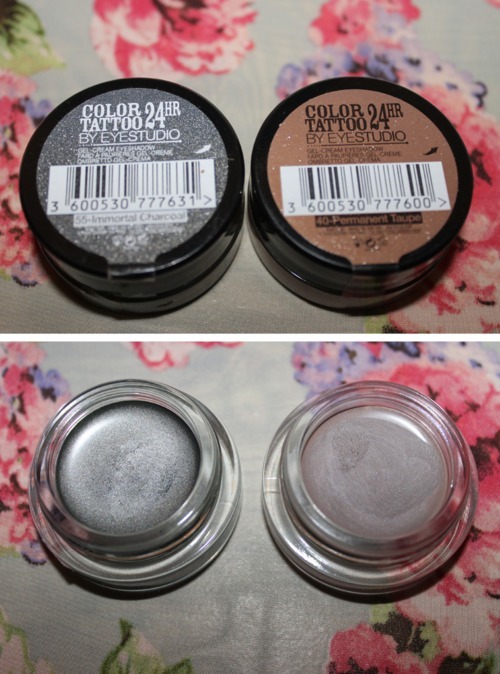 Immortal Charcoal (Audacious Asphalt in US) is a silvery-grey shade which I haven’t really tried before, I mainly stick to brown eyeshadow but I’m really glad I purchased this. 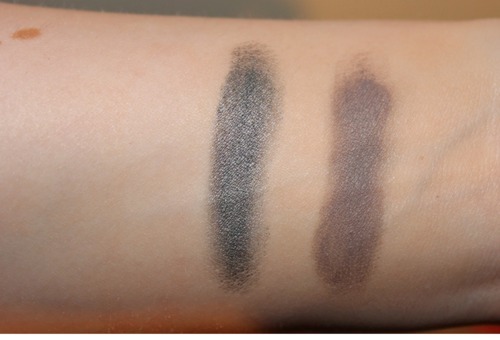 The colour is extremely pigmented and can be worn really light or built up for a night out look. Permanent Taupe (Tough as Taupe in US) is more of my everyday shade, it’s great for pale skinned ladies like me and it’s a very cool toned shade which is a little different from my usual eyeshadow choice Buck from the Urban Decay Naked Palette. I did notice that when applied lightly the cream eyeshadow did crease a little bit so if you have oily skin/oily eyelids you could always pop a bit of powder or an eyeshadow close to the colour over the eyelids to set the cream eyeshadow. Since the eyeshadow is gel/cream based you can always use it as an eyeliner too! Each eyeshadow is £4.99 and Boots have an offer if you buy 1 you get the 2nd half price, the same offer is also going on at Ulta in the US priced at $6.99.